In 2012, the European Consumer Centres’ Network was very active. Information kits for fans travelling to the London Olympics and the football European Championships in Poland were two of its joint projects. The ECC-Net Annual Report 2012 shows that each year more and more consumers benefit from the information and assistance services provided by the ECCs, which are co-financed by the European Commission and by the national authorities in all EU countries, Norway and Iceland. In 2012, the ECCs across the European Union handled more than 72,000 enquiries and complaints from consumers about purchasing across borders in an EU country, Norway or Iceland. From the 32,000 actual complaint cases, around 60% concerned e-commerce, which demonstrates the increasing tendency to shop online. About one third related to the transport sector, and 22% of them to air transport. Compared to previous years, a problematic area in 2012 proved to be the purchase of non-pharmaceutical medical products, therapeutic appliances and equipment. This reflects a growing tendency to sell such products online often with misleading or unfounded health claims, with slimming pills being a prime example. In 2012, more than half of the complaints requiring an intervention by the ECC towards the trader, were resolved on amicable terms or passed on to other organisations: 45% of the complaints were successfully closed after the ECCs reached an amicable settlement with the trader and 13% were passed on to other organisations (e.g. Alternative Dispute Resolution entities, enforcement authorities or courts). For simpler complaints the ECCs provided advice to consumers on how to claim their rights on their own. The Annual Report also gives an overview of the activities of the ECC-Network in 2012 and highlights some of its success stories. 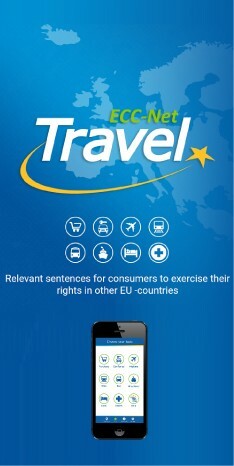 The ECC Network is a European network providing European citizens with free advice and help on consumer cross-border problems, for example when travelling or using e-commerce. The ECC-Net covers 29 countries (all EU countries plus Norway and Iceland). For more information see http://ec.europa.eu/ecc-net. The Annual Report can be found in the attachment below.